We received the Subsidy of PRODANZA! You can find the Submission Process HERE ! The XII FC was scheduled for 19/26 of March 2017. 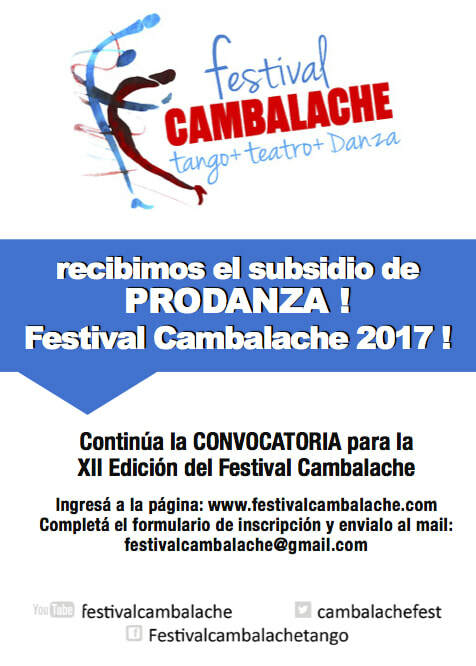 The postponement was due to the lack of responses to the requests for subsidies that were presented, until last week when we happily received the the support of PRODANZA. We will announce soon the dates of the festival, estimated between November and December of 2017.